Based in Oregon, the brand has been in business since 1999 and sells a variety of speakers, home stereo systems, and related components. 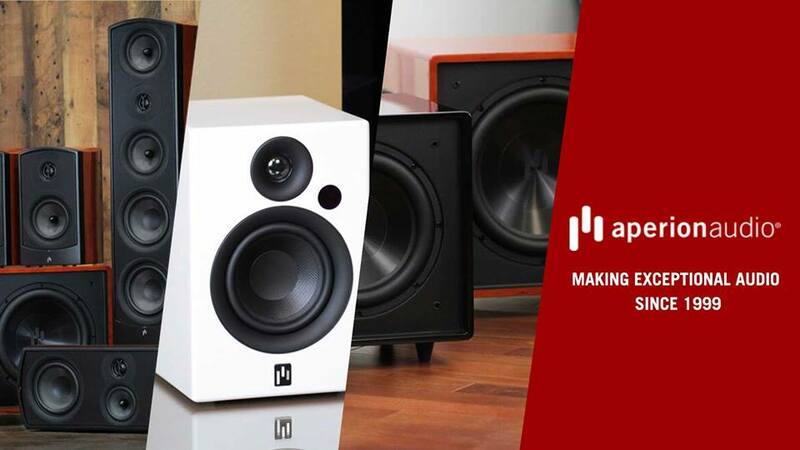 “You simply get more speaker for your dollar from us because we design, manufacture and sell directly to you,” they write on their Why Choose Aperion page. That same page explains Aperion’s incredible benefits for consumers: their 60-day in-home audition, speaker trade-in, lifetime support, and more. We also love that their YouTube page is full of helpful videos, like the featured video below. It’s easy to see why Aperion is a No Middleman favorite and a leader in their category!